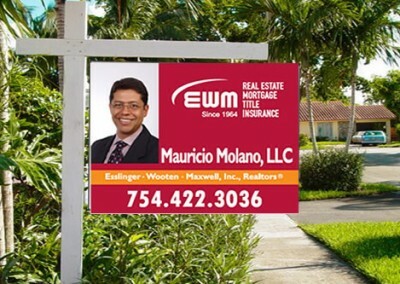 We perfectly understand the Real Estate sensitive parameters, we know how to use corporate logos, and colors, materials, now how to follow specifics for Real Estate Signs to comply customer’s requirements for most markets. 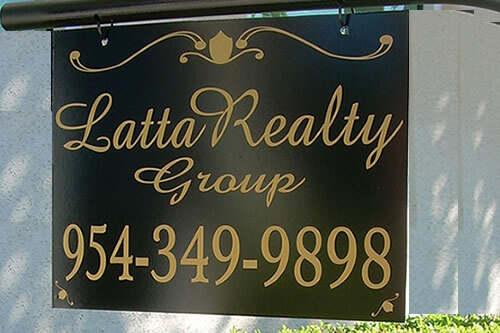 No matter if you work for the most popular Real Estate Agency or if you are an independent Real Estate Agent, we can make the Real Estate Signs to meet your requirements. 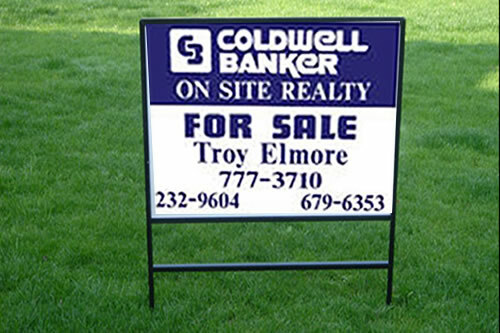 At Quick Signs, we work with premium materials that won’t fade or scratch easily, and you don’t have to order a minimum quantity of signs to add your Full-Color Picture. 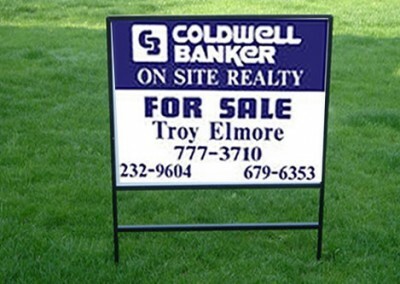 Yes, that little Sign that hangs from the bottom of your aluminum sign when announcing a new Home For Sale, check our Plastic Signs section, if you don’t find a particular one don’t worry remember that all our signs are custom and we can create your Realtor Rider with your name and measures as you need it. 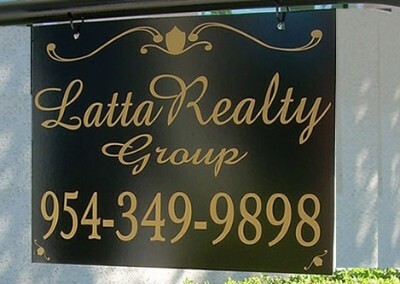 We Print Realtor Metal Signs, and other types of signs used in real estate, realtor signs are not only made out of aluminum but also can be made Plastic or Metal, it all depends on your particular needs. If you need to order Plastic Signs you can also check our Yard Sings section which is our cheapest outdoor signage solution, or if you are selling a land we would recommend you to check our Site Signs, as we know your needs we are pretty sure you also might be interested in our Frames section to choose one for the OPEN HOUSE weekend sale. 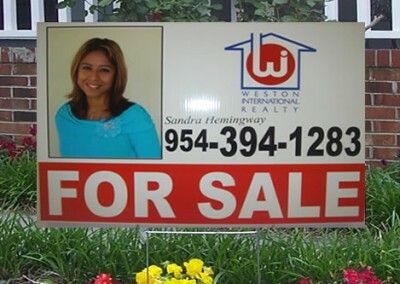 Realtor Signs are not all the same! 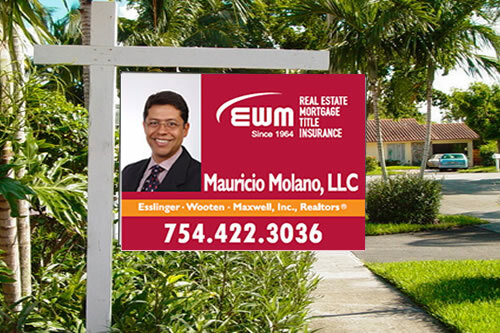 We print all the Realtor Signs we make using Eco-Friendly Inks UV resistant, and our materials are Outdoor Resistant ready for all weather conditions. 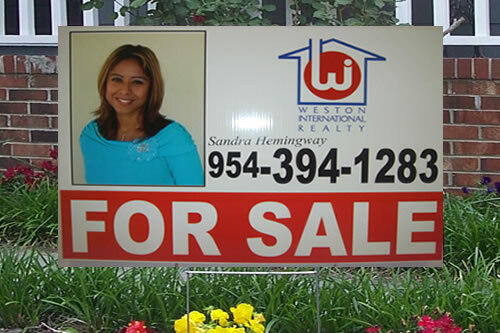 Order your Signs with a friendly and fast Printing Service Call Quick Signs. 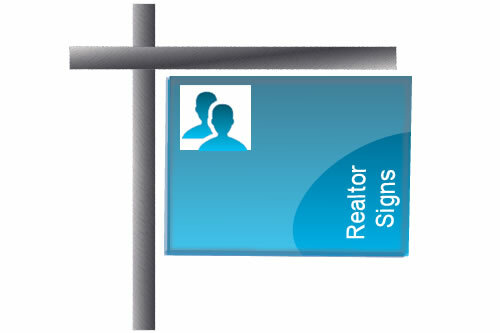 Want to order Realtor Signs today?